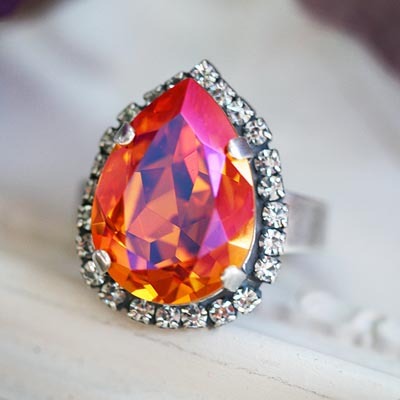 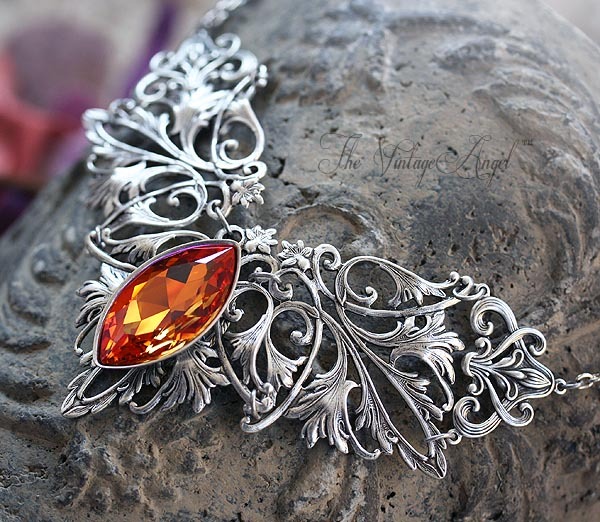 A virbant and and beautiful fiery hued Swarovski crystal is reminiscent of a phoenix rising from the flames. 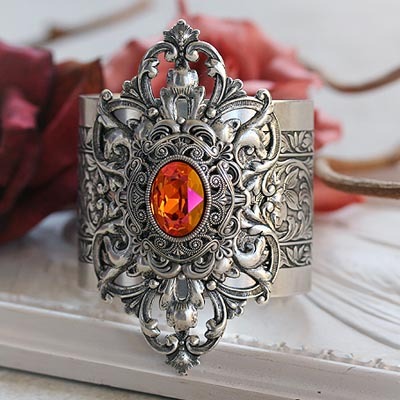 The extra large (one inch tall) navetted crystal is mounted at the center of a grand focal made with linked fleur-de-lys stampings in sterling silver plated brass. 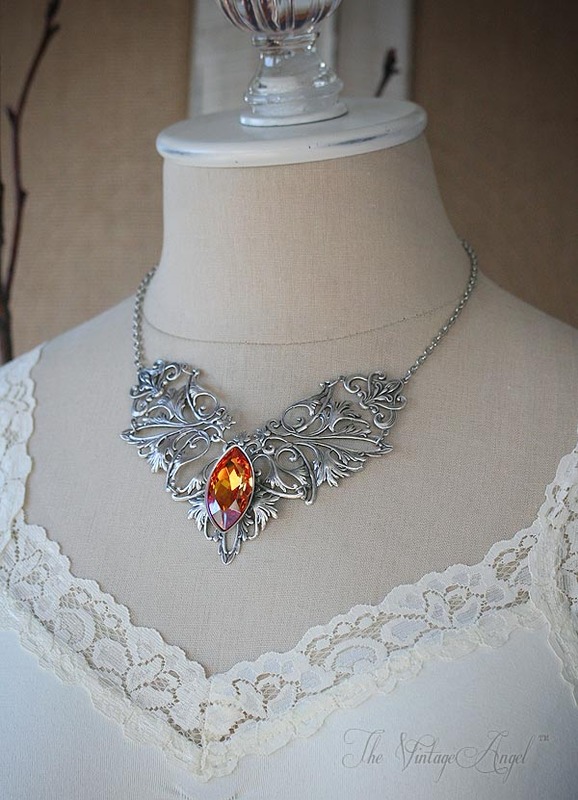 Ornate connectors lead up to adjustable chain from 16" - 20" long, closing with a lobster clasp. 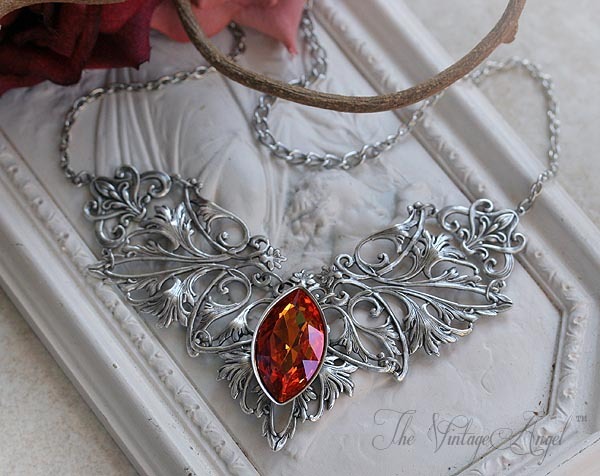 Features a chain that adjusts from 16" - 20" and closes with a lobster clasp at back.